Supreme hero Sai Tej has bounced back with his latest hit Chitralahari. Sai Tej's looks and his performance, terrific music by Rockstar DSP and an inspiring theme for youth are said to be the reasons for the movie's success. And now, here is a big boost for entire film's team of Chitralahari. 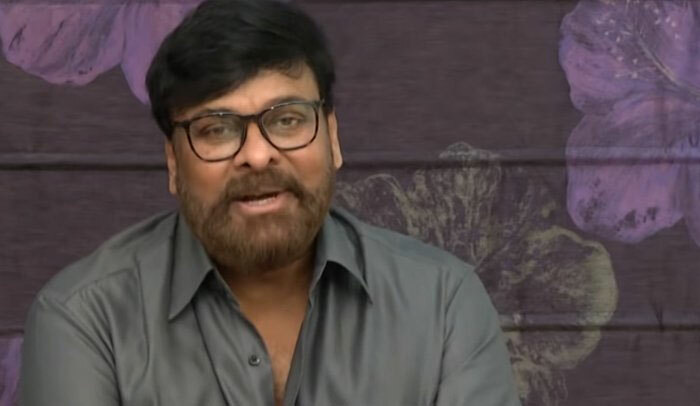 Megastar Chiranjeevi heaped praises on film's team through a video message. "Director Kishore Tirumala delivered a subtle message. Tej exhibited matured performance. Posani and Sunil have done a good job. Once again Devi Sri Prasad proved his calibre as a musician. Mythri Movies is said to be an address for success. Their reputation will take a leap with this film. A right message was conveyed to youth. If at all youth work with dedication they can achieve their task. And the message was well depicted in the film. My best wishes to whole team of Chitralahari. This is the best choice for everyone to watch this film in this summer season," Megastar said. Amused by Megastar's video message, Sai tweeted, "Thank you so much mama for your lovely words and being a huge pillar of support...I’m falling short of words for describing my feelings right now... Thank you so much." Is It YS Jagan's Fake Happiness? Did Prabhas Really Speak About Reddy?